Last Chance for Preconstruction Prices at 90 Niagara! 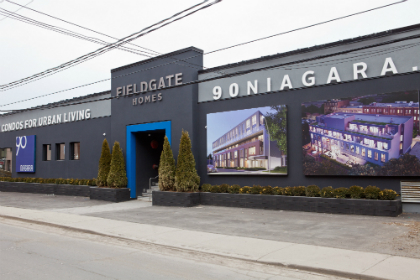 Now is the time to take advantage of preconstruction pricing at Fieldgate’s 90 Niagara boutique condo in Toronto because we are starting construction in March! In order to start construction, we need to demolish the on-site presentation centre, which means we’re closing its doors very soon. 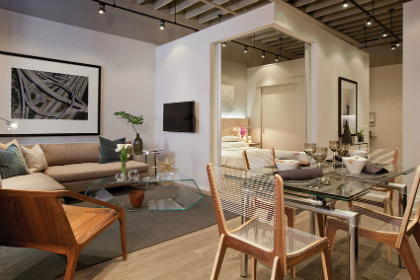 Not only is this the last opportunity to purchase at preconstruction prices, it’s also the last chance you will have to tour the amazing model suite designed by Bryon Patton. The remaining suites and urban towns at 90 Niagara range from 560 to 1,030 square feet. Some of our quality appointments include 9’ ceilings, pre-finished hardwood flooring, contemporary European-style flat slab, soft closing cabinetry, quartz countertops, stainless steel appliances, and beautiful under-cabinet valance lighting. 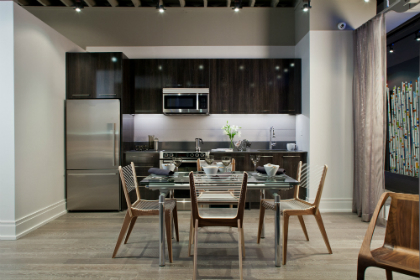 Here’s the plan: Our presentation centre at 90 Niagara Street will be open 11 am – 6 pm all weekend, so you can come for a visit and tour the model suite, then spend a few hours exploring the amazing King West neighbourhood. You can stop for coffee at Thor Espresso Bar or Brioche Dorée, then pop into Weslodge or Portland Variety for dinner, and maybe see what’s going on at the Hoxton if you’re in a dancing mood. If you can’t make it downtown for a fun weekend, the presentation centre is open 12 pm – 7 pm Monday to Thursday, and you can call 416-981-0036 for more information.